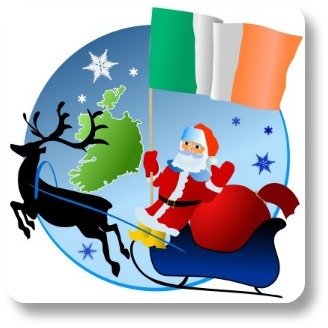 Christmas Limericks: A Joyful Irish Holiday Expression! Christmas Limericks: Express your Irish Side on Our Favorite Holiday Occasion! Irish Christmas limericks sum up the sense of humor and wisdom of the Irish people. This Christmas, you can use limericks to demonstrate your love of Irish heritage and to spice up the festivities. Memorize and share them, write them down and insert them in party favors, or choose you limericks for Christmas and have them printed on personalized greeting cards. The choices are endless! And if you are interested in limericks in general, don't miss our main section on Limerick Poems here! Many cute limericks focus on some of the symbols of Christmas. We've not enough presents this year"
He could give all the children some beer! Whose house was made of gingerbread. And also made crumbs in Fred's bed. For the good girls and boys?" "I'll send all the presents by mail!" The next category of limericks focuses on Christmas gift giving. These are once again humorous, making fun of some of the most common Irish stereotypes. With gifts for the good girls and boys. Who got every toy he could haul. So Paul moved into Fair Oaks Mall. Though many Irish Limericks are funny, a wide selection is available for those who want to show appreciation for the Christmas spirit. The following limericks come with the traditional Irish style but they are touching and emotional rather than hilarious. And a sky filled with stars brightly shining. Finally, here is a selection of simply fun Irish Christmas limericks. These will be suitable for any occasion and any group of individuals. You can add them to Christmas cards, present tags and your decorations. Though funny and lighthearted, Christmas limericks will help you transform your home and get ready for a wonderful holiday. Whose mule was getting contrary. A green hat on his head. Sold him as a huge Christmas fairy. For whom holiday cooking meant stress. Bess did tend to cook to excess! His red nose was shiny, all right! Want More Information on Irish Limericks? We have much, much more to offer! Continue your exploration of this unique poetic style in our section on Irish limerick poems. There you will find hundreds of examples of limericks organized into useful categories, so you can be sure to find what you are looking for. Irreverent humor is an essential part of Irish culture and heritage. You can share limericks like these during special occasions to celebrate your personal Irish side! For more information of this type, you may want to visit our main section on famous Irish sayings here. And if you enjoyed this page in particular, please share your feedback, opinions and stories with your Irish Expressions community! You can do that by visiting us on Facebook or Twitter.